Some families gather for Easter brunch, while others plan a festive dinner or bake sweets for the children. Whatever your plans are this year, you can be inspired by our suggestions. 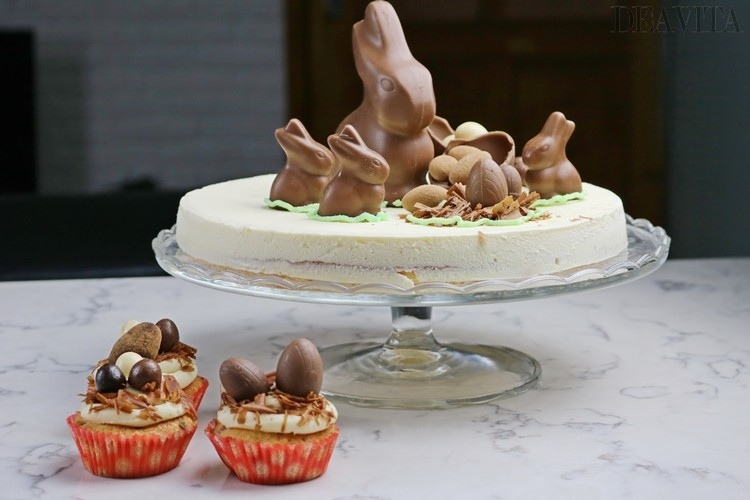 If you are looking for interesting Easter recipes, you are in the right place. These easy and delicious recipes will surely please all your guests. As the summer approaches, you are probably paying attention to your figure as well. However, this can be a bit tricky when Easter Sunday arrives and the tempting desserts are on the table. Nonetheless, here are some simple ideas for entertaining and baking that you can try over the weekend. 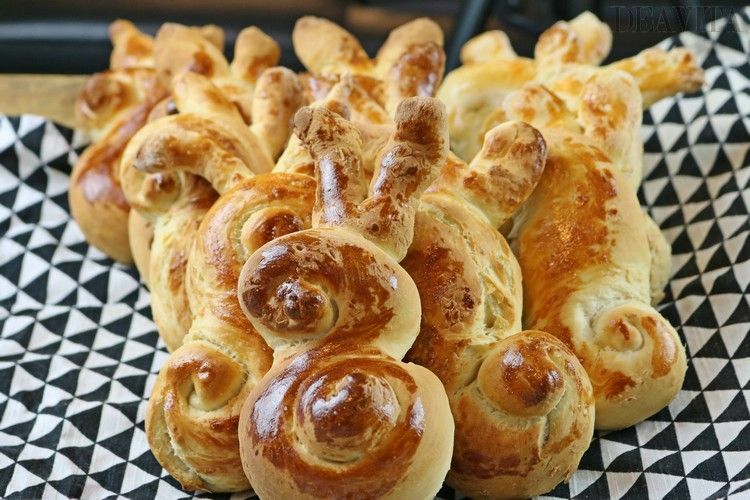 Refresh your Easter menu by baking these classic Easter recipes. Home baking will certainly contribute to the Easter mood with friends and family. 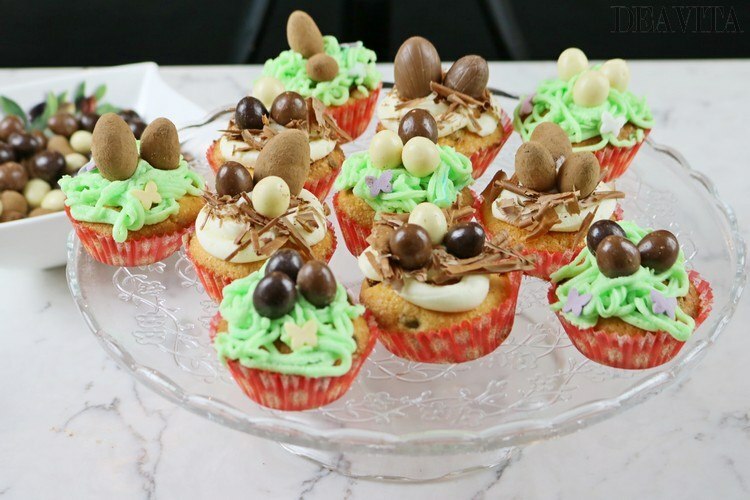 Decorate your creations with Easter figures and impress your guests with colorful cupcakes, Easter bunny dinner rolls and an irresistible Easter cake. Whether you are having a formal lunch or a simple Easter brunch, you will find here the ideal dessert or snack to make your Easter time memorable. 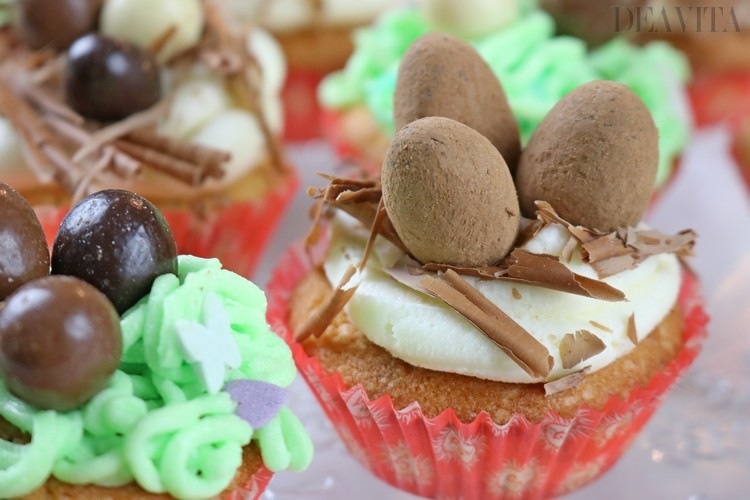 Just look at our three suggestions to find delicious Easter recipes. 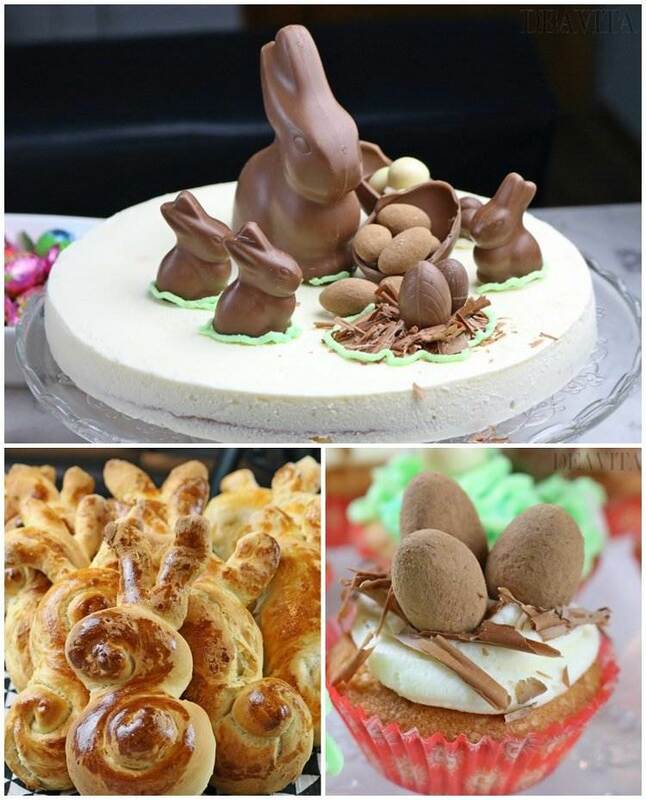 Easter season is approaching and for the nice moments with the family you need to prepare something delicious. 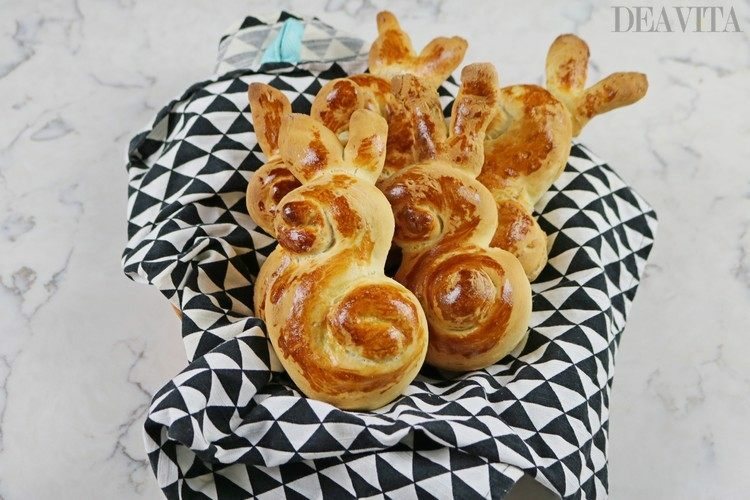 With this recipe for Easter bunny dinner rolls, we offer you a light and tasty solution! 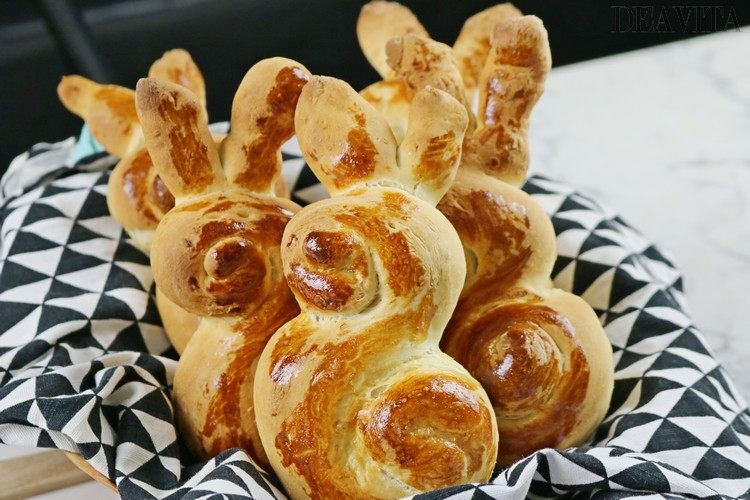 Follow the simple steps to serve these fragrant rolls on Easter table. Heat the milk to 40 °C, add yeast and sugar and stir. 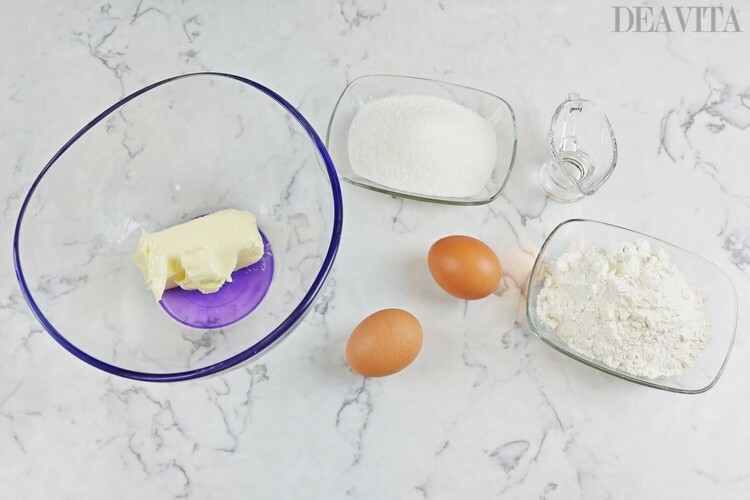 Put the flour in a large bowl and shape a well in the center. Add the yeast and sugar mixture into the flour. Add the eggs and melted butter. Add about 600 ml of water and start kneading the dough. Add a pinch of salt and continue kneading until the dough is soft and smooth. Cover the dough and let it rise at room temperature for about 2 hours. Divide the dough into 15 balls, 100 g each and reserve 15 pieces of 15 g each for the ears. Shape each ball into long strips. Turn the ends to form an S -shape. Shape the small dough balls into a thin strip, fold in half and flatten slightly with your fingers. Put the ears in place. Use a wooden skewer to make eyes. Bake at 180 °C for about 20 minutes or until golden brown. 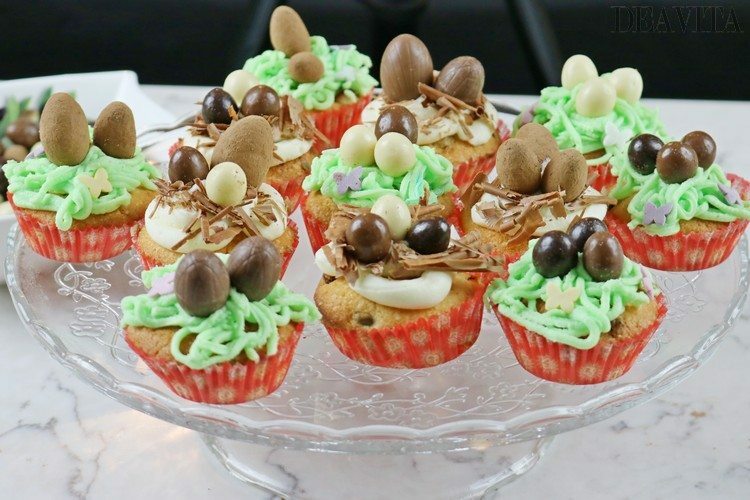 Easter is coming and if you are looking for the right recipes, you can be inspired by these Easter nest cupcakes. Get the ingredients and you will be ready in no time! Cream the soft butter with the sugar using a mixer. Add one of the eggs and mix until incorporated. Add the second egg and vanilla and mix. Finally add cranberries and crushed pistachios. Distribute the mixture in the cupcake pan. Remove from the oven and allow to cool for 24 hours. Mix buttercream mixture and butter. Divide the frosting and add food coloring to one half. 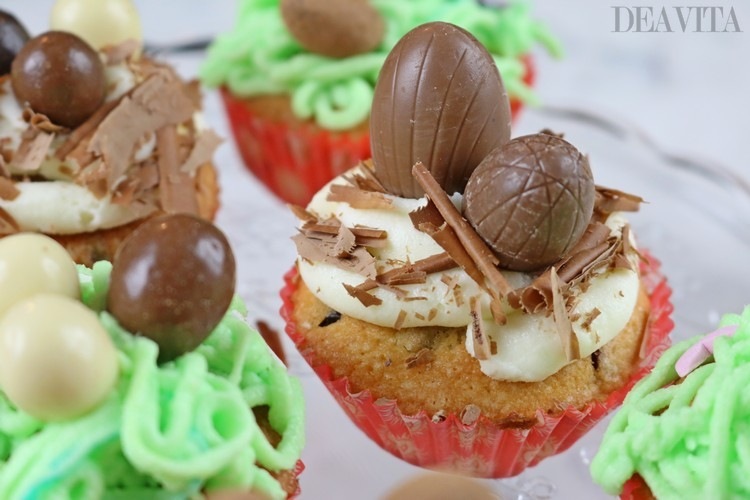 Decorate the cupcakes with nests using a piping bag. Top with chocolate shavings and chocolate eggs. A festive dessert is the best way to finish your Easter dinner or Easter brunch. 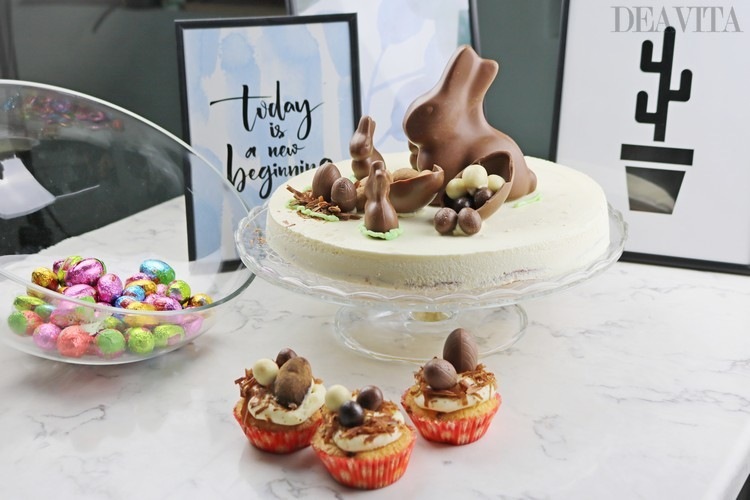 This delicious cake is not only surprisingly easy to bake, but also an impressive edible centerpiece for your Easter table decoration. In addition, you can combine one of these sweets with a festive cocktail. In a saucepan, heat 200 ml cream over medium-high heat. Whisk the egg whites with the sugar. Add the chocolate chips to the hot cream. Whip remaining cream until soft peaks. Stir cream and chocolate chips well until the mixture is homogeneous. Add the whipped cream to the chocolate mixture, gently folding with a spatula. Using a spatula, gently stir in almond flour into whipped cream. Pour into a silicone cake pan. Bake at 180 °C for 20 minutes. 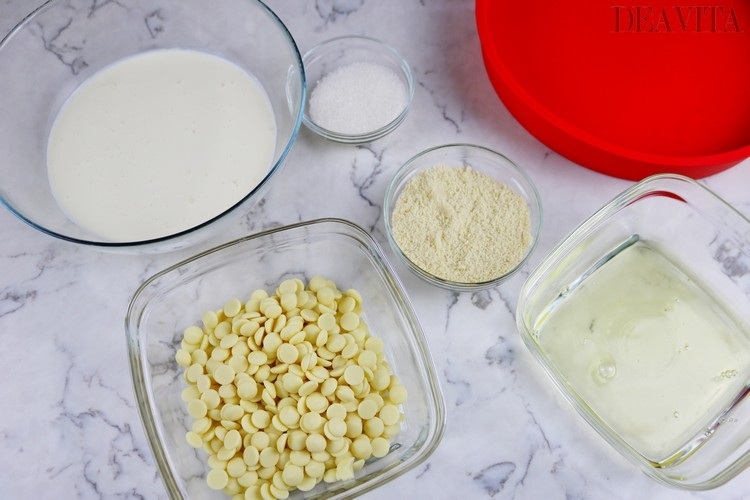 In a silicone cake pan, pour the cream and put the cake on top. Place in the freezer for 24 hours. Take the cake out of the freezer 3-4 hours before serving. 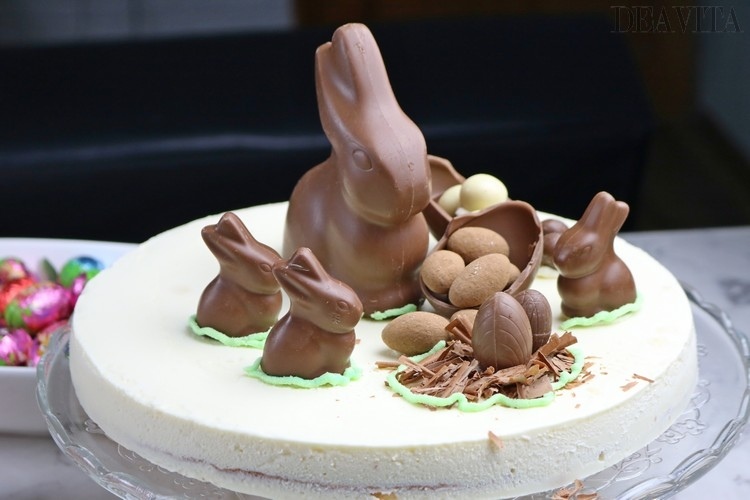 Unmold the cake and decorate it with chocolate bunnies and chocolate eggs.